Ukulele, melodica, kazoo, vocals - while hula hooping. Join in the fun and sing along - can be a full length show or small cabaret style acts. A full length show of fun, games, audience involvement, with an incredible grand finale! Street show style, adapted to indoor venues and smaller cabaret style acts. 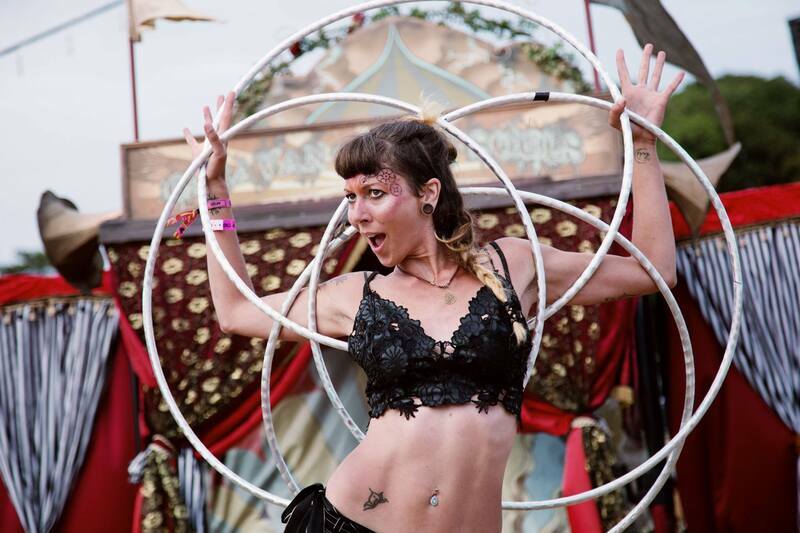 ​Ever wondered what interesting things you can do with a hula hoop? Do you know how hula hoops are used to help with poaching skills? Did you know that hula hoops were banned in some countries around the world? Have you not yet quite managed to hula hoop around your waist, or are you an intermediate wanting to learn something new? Then let's go Back To The Hoopture! Join us in this interactive workshop style show as we go back in time, visiting different cultures and time periods and learning hands on how they used hula hoops in their own unique ways! 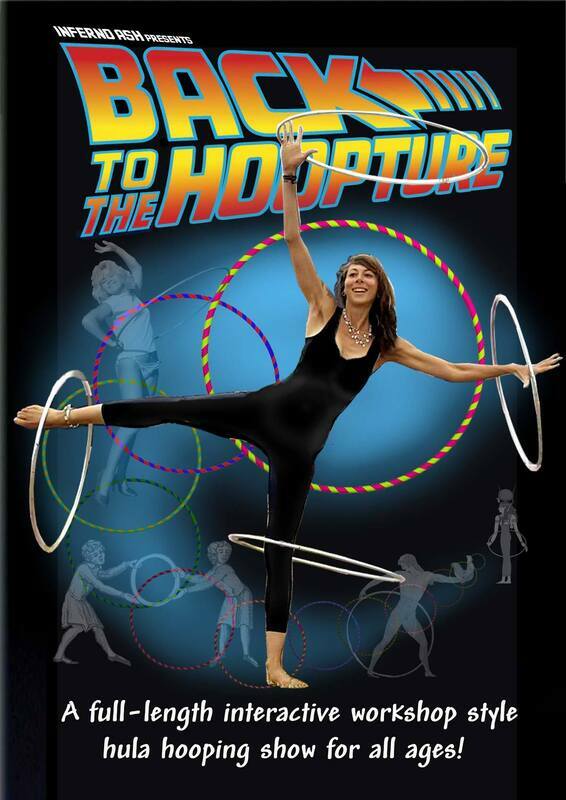 You will join Miss Hoopdedoo, a 'hoopologist', on a journey of knowledge, physical fitness and FUN. For all ages, no experience required.